When selling your home there is no shortage of options for getting on the market, but the service provided will vary greatly. 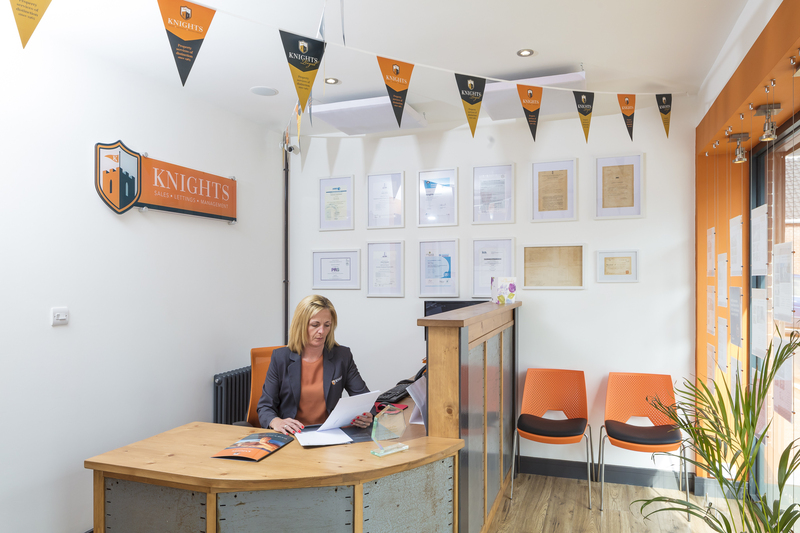 At Knights we pride ourselves on exceptional customer service and communication and operate with a level of integrity and honesty not often associated with estate agents. Whilst there may be cheaper ways to sell your home, they'll invariably come with compromise and can make the experience more stressful than it need be. With Knights, you can be sure of fair valuations, honest appraisals and continued communication throughout the entire process, so you'll never feel left in the dark with us. We carry out all viewings and offer no tie in period and no upfront fees! Selling your property in a reasonable time frame starts with a fair market valuation. An experienced member of our sales team will visit your property for an appraisal. They will research the current market conditions and provide a fair and accurate valuation, with evidence of comparable sales in the area in recent months to support the valuation. Local knowledge is key to appropriately marketing your property to ï¬nd the right buyer at the right price. Our extensive experience in the local property market allows us to keep track of comparable property transactions and will give you peace of mind that the price you achieve is a fair one. There are many avenues of advertisement these days and while we still see the value and maintain our presence in local press and display informative window displays, we also make the most of what technology has to offer. Our fully interactive, mobile friendly, website will show off your property to its full potential, with professional photos, ï¬‚oorplans and detailed descriptions, your prospective purchasers can see your property in the best possible light. We also utilise popular online portals such as Zoopla, Primelocation and On The Market. There's nothing worse in our book than poor communication, so we work hard to keep you informed at all times. We'll let you know when viewings are taking place, the outcome of the viewings and of course inform you the second an offer is put forward. We also extend this level of diligence to your buyers who equally will want to be kept informed during the purchasing process. It is a legal requirement that your property is advertised with a current Energy Performance Certiï¬cate. Our in-house Energy Assessor will carry out the assessment promptly after instruction and you will have your certiï¬cate within 48 hours, meaning there is nothing to stop your property going on the market and ï¬nding its new owners! Professionally taken photographs of your home. Distinctive 'Knights' for sale board in a prominent position at your property. Full gloss colour, professionally printed A4 double sided property particulars sent to prospective purchasers. Advertising across all platforms. Local press, Social Media, Knights Estates website, Rightmove, Zoopla, Primelocation. All accompanied viewings, including evenings and weekends.Regular communication and updates on the progress of your sale and feedback from viewings. Is your property something a little bit special? Do you want to show your property in the best possible light? Then our 'Knights Regal' package is deï¬nitely for you. Our premium marketing package comes with a free Energy Performance certiï¬cate if required, professional photography and a computer generated 3D colour ï¬‚oorplan. Niché properties with higher than average values need special consideration when being marketed to make sure they access the smaller pool of buyers that will be looking for that something a little bit out of the ordinary. Don't let your beautiful property be let down by underwhelming advertising! If you are passionate about your property our 'Knights Regal' package is deï¬nitely for you. Professionally taken photographs of your home (we take multiple photos to use during advertising, these will be changed to keep your property advertisement fresh). Computer generated 3D colour ï¬‚oorplan, giving potential buyers the best possible insight into the layout of your property. FREE Energy Performance Certiï¬cate (where required) . 'Knights Regal' advertising in local press. Full gloss colour professionally printed A4, four page property particulars in our 'Knights Regal' colours, to be sent on request to prospective buyers. Distinctive 'Knights Regal' for sale board in a prominent position at your property. Whether you are looking for the next place to call ‘Home’ or are looking for a suitable buy-to-let property, we provide a second to none service to buyers and sellers alike. We work closely with our sellers to ensure when selling a property all the information we provide is honest and accurate, so you can make an informed decision when buying your next property. Great communication and customer service is at the heart of what we do and we will keep you informed and up to date at all times. We know what a big commitment buying a property is and the added pressure that comes with it, so rest assured we work hard to ensure that your purchase is a smooth and successful transaction. If you are taking your first steps on the landlord ladder and are looking for suitable property to get started with, we provide free impartial advice on what makes a good investment property. Size, location, condition, rental value and purchase price all have a big influence on whether a property will be a good investment, so feel free to ask us any questions you may have. When it comes to arranging finance for your purchase we can point you in the right direction for great mortgage advice. Our recommended advisor looks at the whole of the market and can source great deals that may not be available direct from the major lenders. If this is something that appeals to you be sure to let us know and we can help you set up a no-commitment meeting with our recommended advisor.